There is a famous Italian dish called Spaghetti Vongole. This is not it. There are times when you can't be bothered to spend hours in the kitchen to get your dinner on the table. At the same time you might not want to stoop to having to eat a microwave ready-meal. That's when you have to find some good shortcuts to cut down on the cooking time. This time my shortcut was some ready cooked clams. If you want to, you can just adjust this recipe to add in the step of cooking your clams but that will of course also add to the total cooking time. Pasta is a good base for quick yet tasty dinners. If you build a good base repertoire of pasta dishes you can quite quickly freestyle together a meal based on what time is available as well as on what ingredients you have at hand. Those are the kind of dishes you swing together with little warning, little to no prep and usually with a very short cooking time. It's not unusual that the boiling of the pasta is what will take the longest time. Since this is a true freestyling kind of recipe I will not list any measurements for the ingredients below, just do what feels right here. Boil the pasta as per the ingredients, preferably on the al dente side. In the meantime heat the oil in a frying pan. Add the tomato, chili and garlic and give it a stir. Season well. Stir now and then as you are frying the veg, try not to cook the garlic too hard so you make it taste bitter. 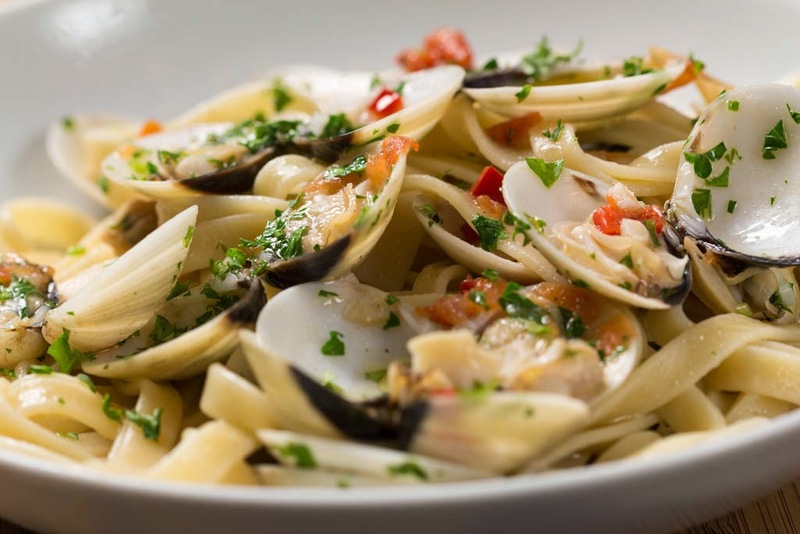 When the pasta is nearing the finishing line, add the clams to the frying pan to heat them up a bit. Drain the pasta and stir it into the frying pan. Turn off the heat and stir through the majority of the chopped parsley. Plate the dish and sprinkle with the remaining parsley.